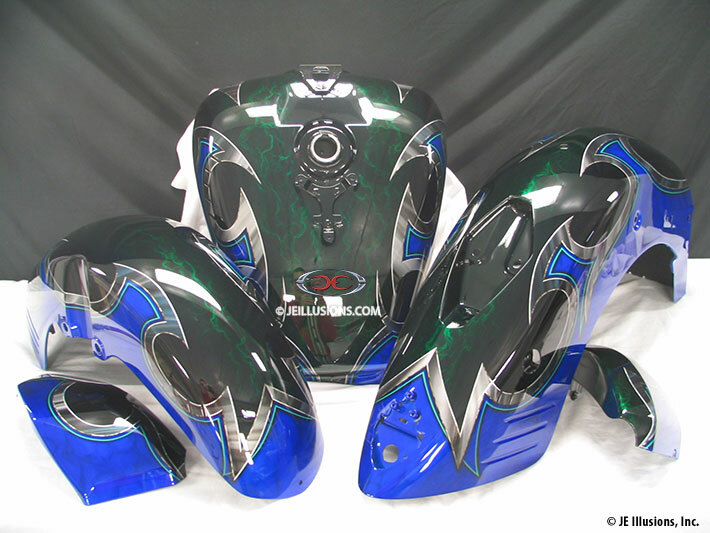 This paint job starts with a high-gloss Ultra Blue underbase with swirls of an air-brushed darker Blue running through it, creating a slight marbling effect. 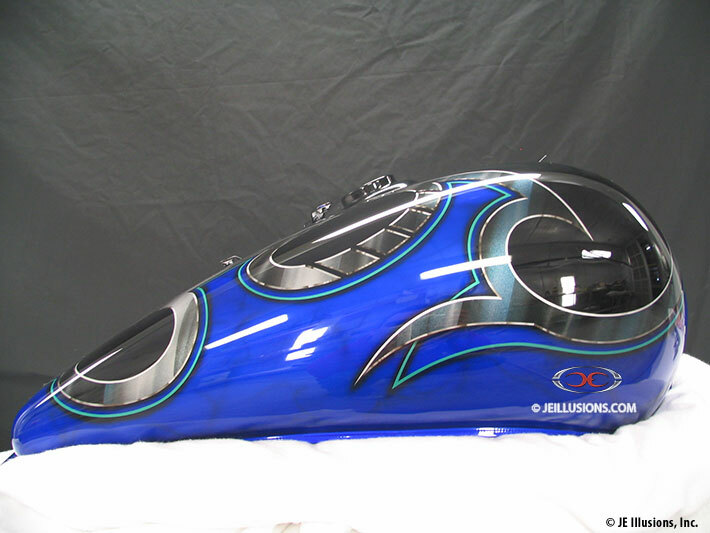 The Blue is trimmed with a very alien looking beveled-edged blade design with air-brushed metal effects running through it. 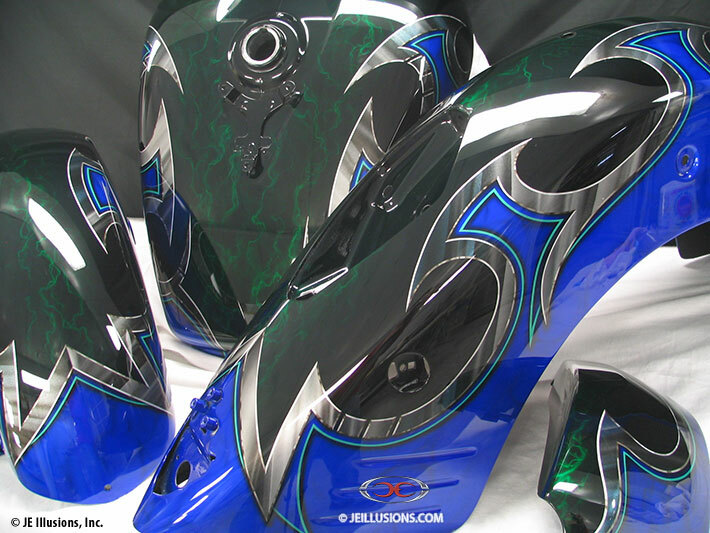 This blade effect is surrounded with another light Green trim design that is offset in several places and added shadowing to create a more multi-dimensional effect. 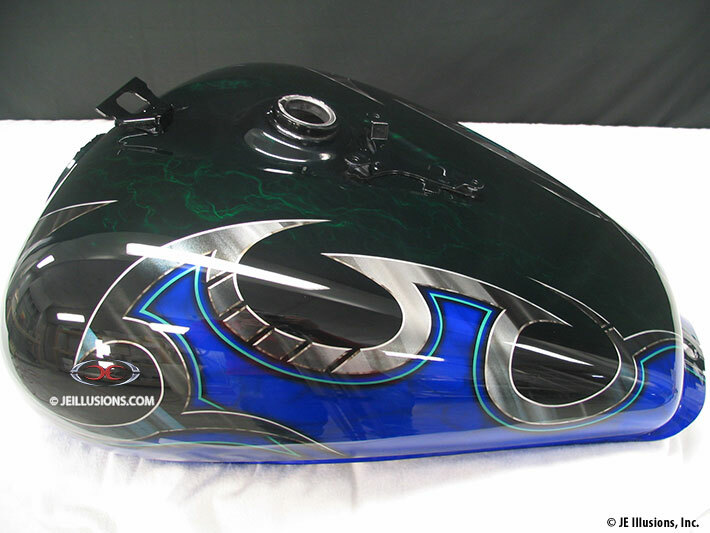 This blade design then surrounds a high-gloss Black with air-brushed electric Green marbling effects running through it. A paint job that is truly out-of-this-world!